The Best You Can Find On Web! Originally established as a QA/QC service company, we have grown into an organization that provides contractors, quality assurance, inspection, project management and safety services. Today we have the capability to employ hundreds of skilled personnel supported by a seasoned management team that has over 100 years of combined service dedicated to the Energy Industry. While our primary focus has been to service the greater Gulf Coast, we also supply service across the U.S and overseas. Established QA/QC service company in 1979. Through hard work, commitment and dedication we have grown over the years into a major service company with the ability to provide a wide range of contract services. Our goal is really very simple. Walzel provides superior value by delivering quality services at a reasonable cost. 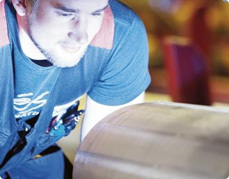 Our Emphasis on quality work and real value means that Walzel’s customers get the practical solutions they require. It is the mission of Walzel Technical Services, Inc. to perform 3rd party Quality Control functions and insure that all materials and fabrications meets or exceeds applicable codes, standards, and specifications required by contract and by Federal or State Government agencies…. It is the mission of Walzel Technical Services, Inc. to perform 3rd party Quality Control functions and insure that all materials and fabrications meets or exceeds applicable codes, standards, and specifications required by contract and by Federal or State Government agencies. Our commitment to the success of these goals is achieved with the support of management, the participation of skilled and trained employees, and a constant consideration for working safely and productively. Aside from our highly skilled and trained inspectors and Safety Training program, Walzel has a New untapped resource of welders, pipe fitters, etc. Our company is able to maintain a low overhead which means competitive rates for YOU, our client. We strive to maintain our excellent safety record through a management supported safety culture. We train and qualify our own people to perform to specific codes and specifications, according to YOUR needs. Walzel Services is a flexible organization that can supply an entire project or just fill in gaps with quality personnel. We also have insurance coverage for most job requirements. Most importantly, Walzel can work to the clients procedures and specifications or we will provide them ourselves. During the past 32 years, Walzel has been used as the major third party management and inspection firm on numerous projects. We have provided personnel with in-depth expertise in fields such as Construction Management, Material Control, Expediting, Welding Inspection, Instrumentation Inspection, Drafting, Document Control, Traceability, CVA, Computer Programming, Secretarial and General Office Personnel, NACE Coating Inspection, API Inspection, Engineering, as well as Vendor Surveillance and complete documentation. 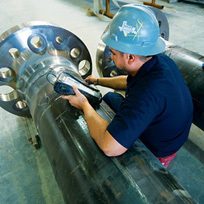 We also maintain a group of Shell tested Ultrasonic Inspectors and Magnetic Particle Inspectors. Walzel Technical Services, Inc. supplies support personnel to augment our customer’s own staff during peak production periods. The job categories available are Welding Foreman, Supervisors & Superintendents, Pipe & Structural Welders, Fitters, Safety Personnel, and Helpers. Our office is located Ingleside, TX. We presently have personnel working along the Gulf Coast, overseas, and nationwide on various projects.